Some of my favourite posts to read are recipes and what I eat in a day. 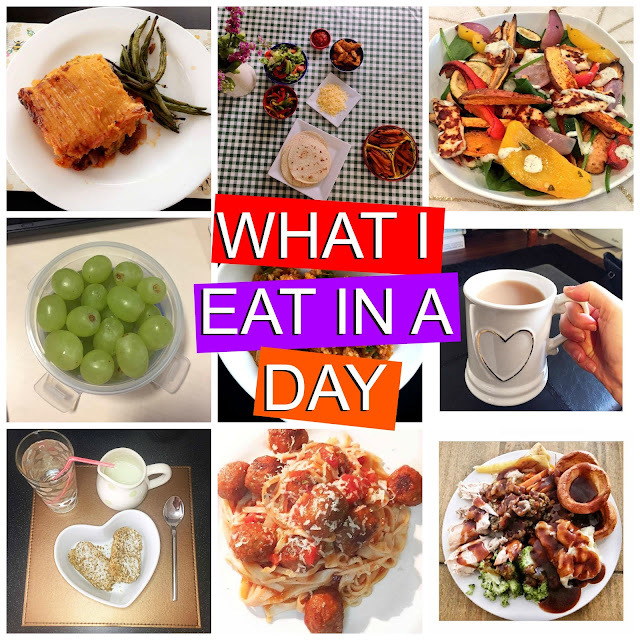 I love having an insight into other people's lives and like trying out new recipes too so I thought why not share with you what I eat in a day. 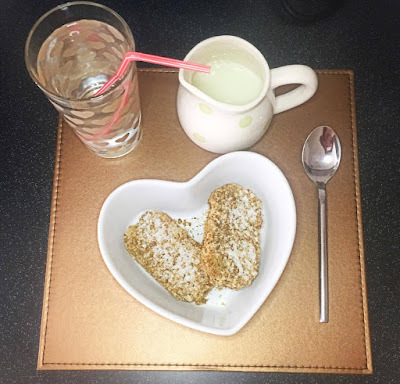 By no means is this an adventurous what I eat in a day, it's pretty boring to be honest but hey ho, some of you may like to read it. The first thing I do when I wake up is drink a large glass of water. It's so important to stay hydrated throughout the day so I monitor my water intake regularly. I really want one of those Love Island water bottles because I feel like it'll make me drink more water (yes, I'm sad) and my boyfriend was given one as a joke for his birthday so I've stolen his! For breakfast I normally have a bowl of Special K or Weetabix with skimmed milk when I get to work. I find that I tend to prefer waiting until I get to work to eat because I'm normally not hungry when I first wake up. Eating that little bit later also helps me to not crave bad food in between breakfast and lunch. I also obviously have a cup of tea too (I literally cannot live without tea). 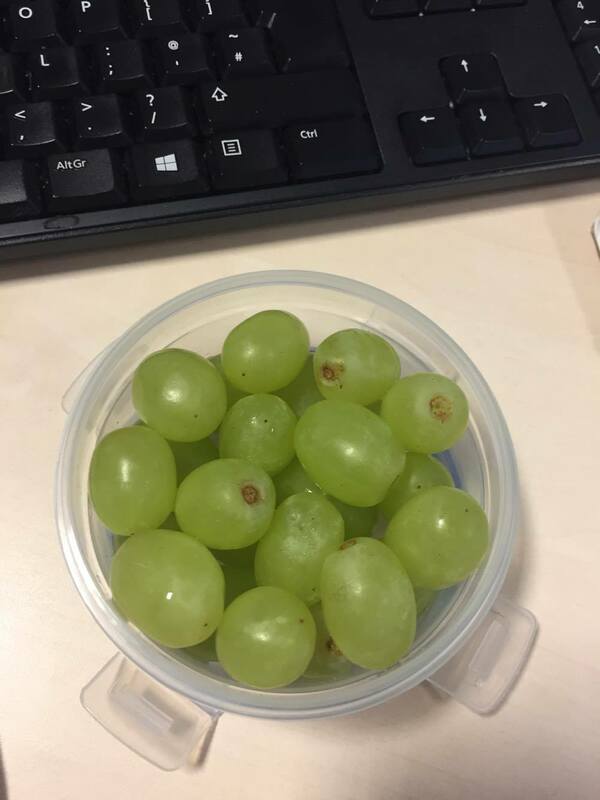 For my morning snack I like to have some grapes. 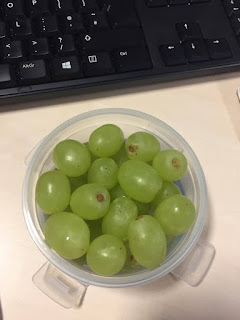 I prefer red grapes so much more than green ones but I do eat both; it depends which are on offer at our local Aldi. Lunch is either soup or one of our meal prep leftover meals. Today I had tomato soup with a piece of wholemeal bread (and of course a cup of tea). I love having soup for lunch during the winter months, you can't beat it. In the afternoon my snack of choice is an apple. I don't always have a snack, it generally depends on how full I am from my lunch or if I'm going to the gym or not. 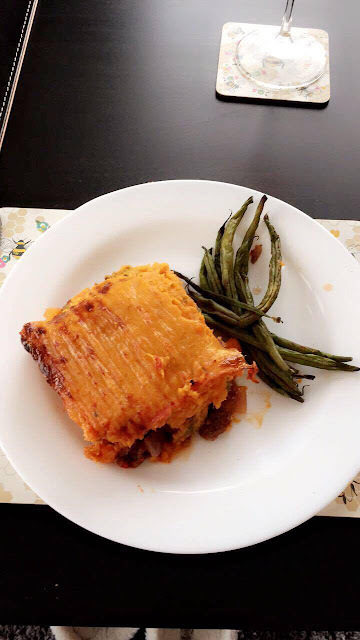 Dinner tonight was Cottage Pie with sweet potato mash. 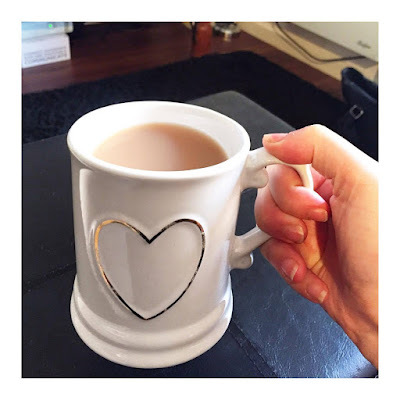 We try and mix it up during the week and we like to cook slimming world recipes to try and be a bit healthier. I love this dinner so much, it's the perfect winter food! I am trying to be a bit more adventurous with my meals but also make them generally more healthy so if you have any recipes to share with me then please leave them in the comments below. I need some inspo!